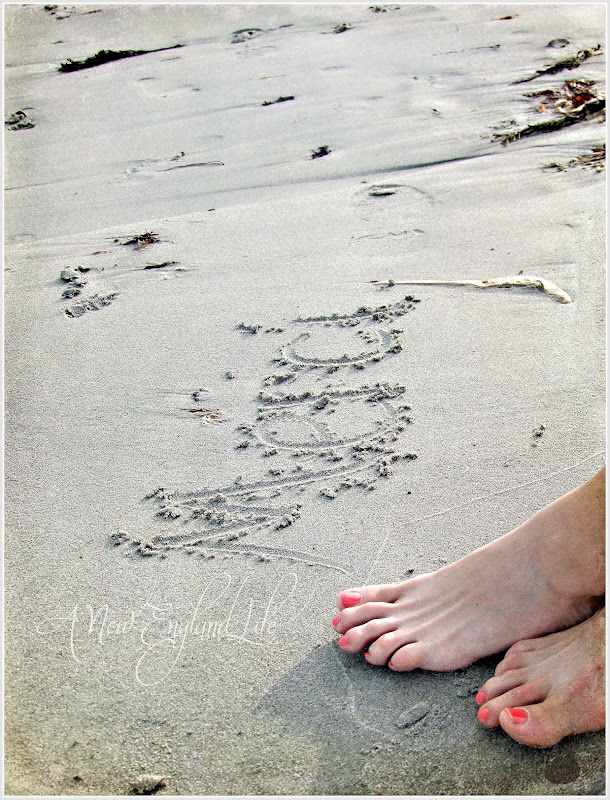 Earlier this summer my friend Ann called me and asked if I wouldn't mind taking a few pictures of her at the beach. 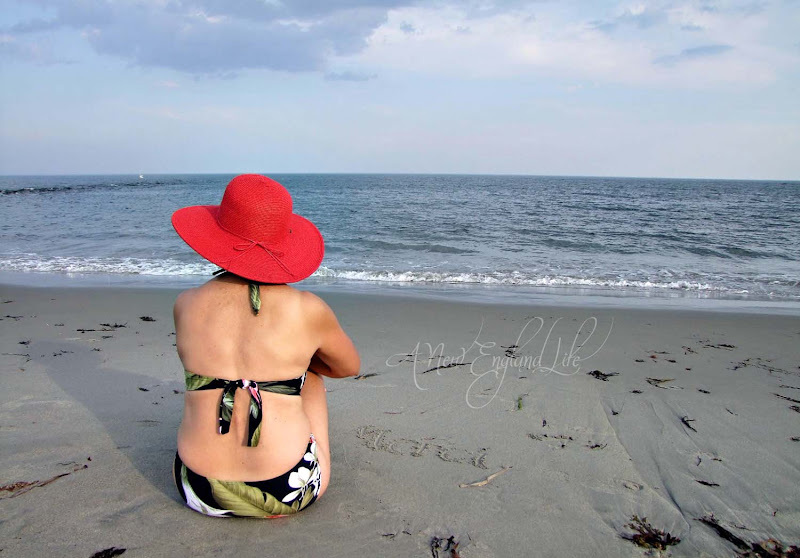 She had just turned 50 and wanted to pose in a Red Hat a few of her girlfriends had given her for her Birthday. However, she wanted the photos shot from behind while she looked out to sea. Hey, I can do that! Since I don't usually shoot people this was a great opportunity. Ann is a runner and as you can see she is in great shape. Personally I wanted to shoot her a little more from the side but she wasn't going for it. In the end I was pleased with the way they images came out. Ann was too! She made photo albums for the friends that gave her the hat (they also took her on a trip), and put these photos at the very end. Such a clever idea. Since Ann is fluent in French and all the ladies went to Canada together she thought Merci fit perfectly. Thanks Ann for the opportunity! What beautiful life affirming photos! Your friend is beautiful no matter what "side" you captured. Great photos!! You did good! that's an elegant pose--i love the red hat! Those pictures look great Sharon. She looks like a beautiful red hatter. Good job. What great photos Sharon. 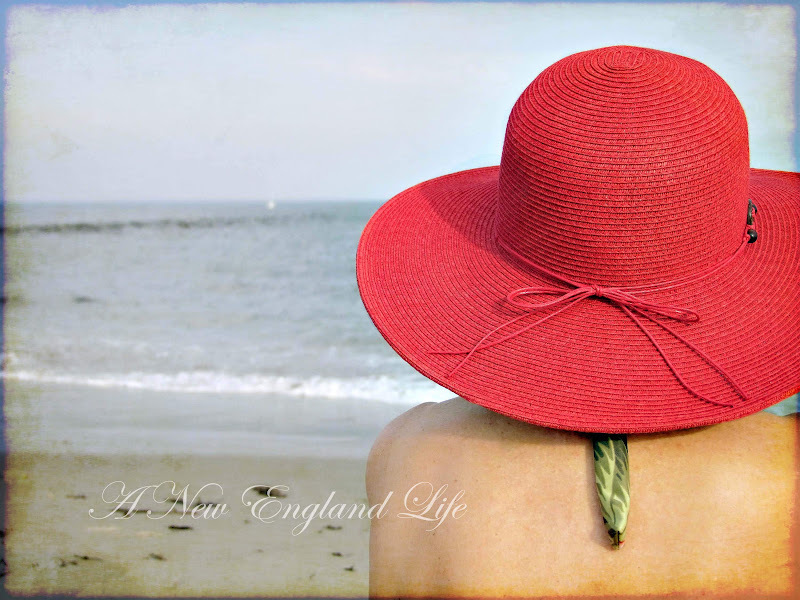 I love that she is looking out to the sea in her wonderful red hat! Perfection. Should I say "Magnifique"!!?! Anyway, Be safe with Hurricane Earl coming up the coast. STORMY SEA link for you...hope you can visit. Happy September!!! This is wonderful Sharon! Merci! what a great idea, and what beautiful photos. I love these - the composition and light is just perfect. I don't think I've ever taken a decent photo of a person. Beautiful post... I hope to receive a red hat when I turn 60 in a few years. She looks fabulous by the way and please tell her I said so..
Beautiful photos. It's a great idea to celebrate 50 with a red hat. It reminds me of the old lady in Chocolat who wore the red petticoats. A bit eccentric, but totally fitting. LOVED the hat and loved the photos even more! Very creative..you should consider doing more "people" photos..you are really great at it! What a nice birthday present from good friend...a red hat and a trip to celebrate fifty years of living. Last year, for my 65th birthday, four friends went with me to Rome where we spent two days, then board a ship for a six day Mediterranean cruise. We then spent a night in Malaga and four nights in Barcelona before returning home. It was so wonderful. Sharon, that hat photo is incredible. And your friend looks mahvelous! Sharon what a wonderful tribute and keepsake. Your friend is lovely on the inside and out, great job! Beautifully done. My hat is off to her and I hope she knows she is just starting a wonderful period of her life. Love her pictures and the red hat! I am glad she is so loved by you and her other friends. Sharon, YOU ROCK! I bet Ann was thrilled when she saw the pictures! These pictures are beautiful! What a great way to celebrate turning 50! The pictures look awesome! Now that's what I want, a picture of me from the back .....but no bathing suit please! What a cute idea! I love how bright that red hat is in the photo! These are great! So very nice. I love the writting in the sand. Such a cute idea! Loving the red hat! Great photos!